Rectangle vs. other shapes. Is a square a rectangle? Weird fun fact: what's the most rectangular shaped country in the world? Whether you need to know the area of a carpet, a parcel, a TV screen, rectangle pool or window, this area of a rectangle calculator will solve your problem in a blink of an eye! All you have to do is input the length and width (or diagonal), and allow this rectangle calc to find the values of P (perimeter) and A (area). Keep reading if you want to understand what is a rectangle, you're interested in the rectangle definition, formulas, properties of a rectangle... Or you just want to learn how to find the area of a rectangle. Since you're already here, we believe that our other geometric shape calculators may be of interest to you. Have a look at our great tools, and feel free to have a play with them and try them out! A rectangle is an example of a quadrilateral shape - maybe you want to check out a different ones? A rectangle is a quadrilateral with four right angles. It may also be defined in another way: a parallelogram containing a right angle - if one angle is right, the others must be the same. Moreover, each side of a rectangle has the same length as the one opposite to it. 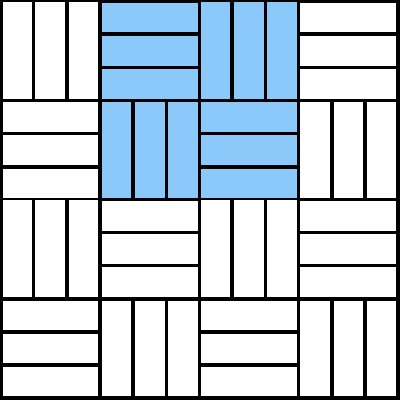 It also has unequal adjacent sides, in contrast to a square which is a special case of a rectangle. If you know some Latin, the name of a shape usually explains a lot. The word rectangle comes from Latin rectangulus. It's a combination of rectus (which means "right, straight") and angulus (an angle), so it may serve as a simple, basic definition of a rectangle. The image above shows a typical rectangle. It has four sides and four right angles. 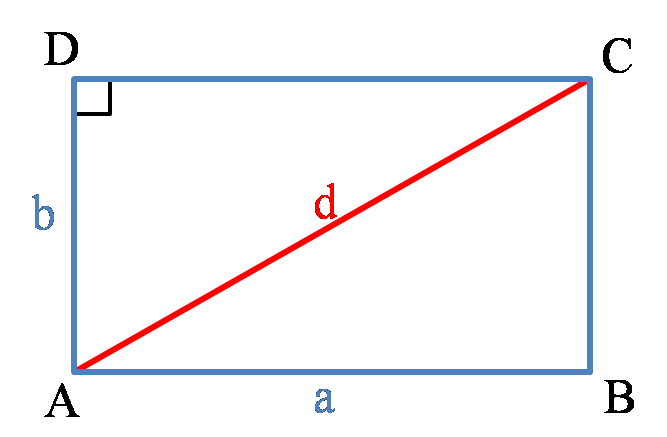 The lengths of its sides are denoted with a and b, while the length of the diagonal is denoted with d.
If all sides of the rectangle have equal lengths, it is called a square. If you're interested in the area of 3D solids rather than two-dimensional shapes, check out the surface area calculator. 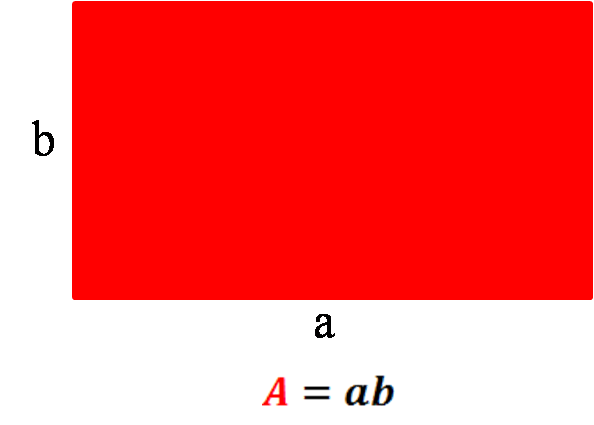 Choose the length of the rectangle - for example, a = 5 cm. 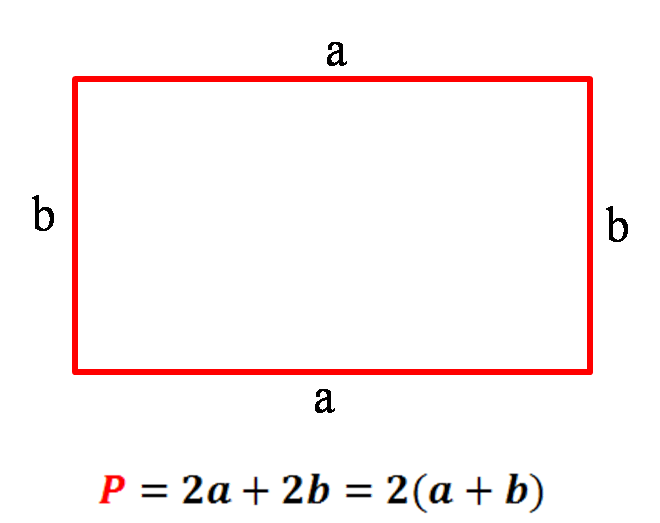 Decide on the width of the rectangle - for example, b = 6 cm. Multiply these two values: A = 5 cm * 6 cm = 30 cm². The area of the rectangle is 30 cm². Choose the length of the rectangle - a = 5 cm in our case. 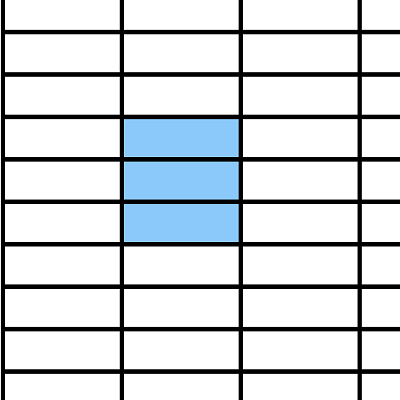 Decide on the width of the rectangle - e.g. b = 6 cm. Add these two values: a + b = 5 + 6 = 11 cm. Multiply the result by 2: P = 2 * 11 = 22 cm. Here we go! The perimeter of our rectangle is 22 cm. Calculate a to the power of two: a² = 25 cm². Calculate b to the power of two: b² = 36 cm². Add these two values: a² + b² = 25 + 36 = 61 cm². Finally, take the square root of the result: d = √(a² + b²) = √61 ~ 7.81 cm. The length of the diagonal is 7.81 cm. Naturally, instead of calculating all of these values manually, you can go ahead and use this area of a rectangle calculator. You can also use it in reverse - for example, to calculate the width of a rectangle with a known length and perimeter. where φ is the golden ratio equal to 1.618. As you probably remember, a ratio is the relationship between two quantities, often represented as a fraction. Did you know that you can construct the golden triangle using only a straightedge and compass? It's just a few steps! 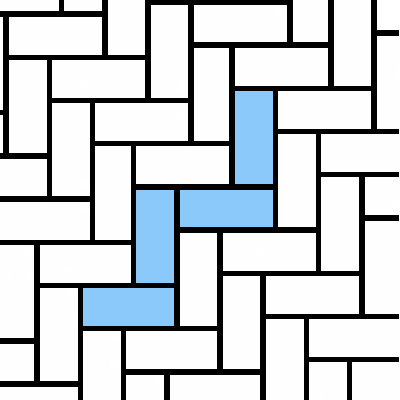 Draw a line from the midpoint of one side of the square to the opposite corner. Draw a circle with the radius equal to that line and center in the midpoint, as in the picture. The point where the circle meets the extended square side is a next corner of the golden rectangle. Find the last vertex and complete the golden rectangle. Taadaaah! It wasn't so hard, was it?  is cyclic - meaning that all corners lie on a single circle. is equiangular - all its corner angles are equal to 90 degrees. is rectilinear - its sides meet at right angles. has two lines of reflectional symmetry - vertical and horizontal through the center. has two diagonals, which bisect each other. 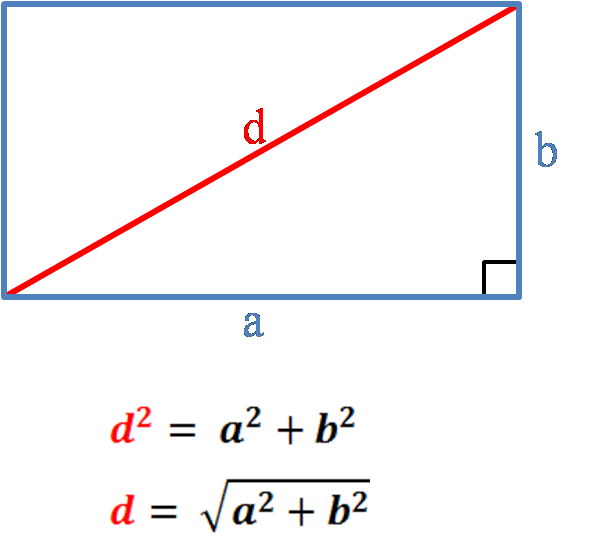 You can find the length of the diagonal, using the Pythagorean theorem. the opposite sides of a rectangle are parallel to each other and have equal length. The intersection of the diagonals is the circumcenter - a circle exists which has a center in that point, and it passes through the four corners. 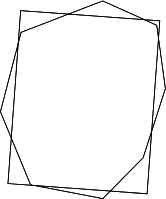 In a rectangle with the different side lengths (simply speaking - not a square), it's not possible to draw the incircle. Lines joining the midpoints of the sides of a rectangle form a rhombus, which is half the area of the rectangle. 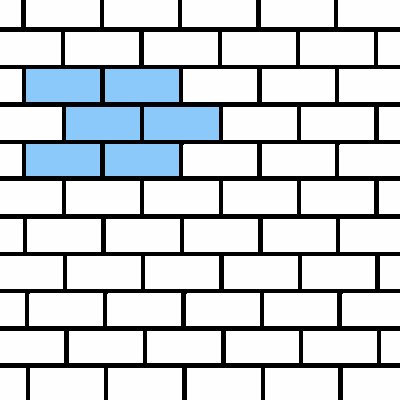 The sides of the shape are parallel to the diagonals. You can think of your own properties as well; e.g. 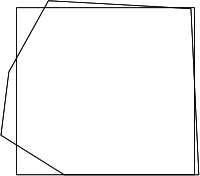 concerning the revolution of a rectangle - along the side or diagonal to get a cylinder or a cone, respectively. Is a square a rectangle? YES. Is a rectangle a parallelogram? YES. Is a rectangle a rhombus? In general - NO. Only if it's a square (the angles of the rhombus are all 90 degrees). Is a rhombus a rectangle? In general - NO. Only if it's a square (the sides of the rectangle are all equal length). Is a rectangle a quadrilateral? YES, of course. Is a rectangle a trapezoid? YES. Every square is a rectangle and a square is a special case of a rectangle. 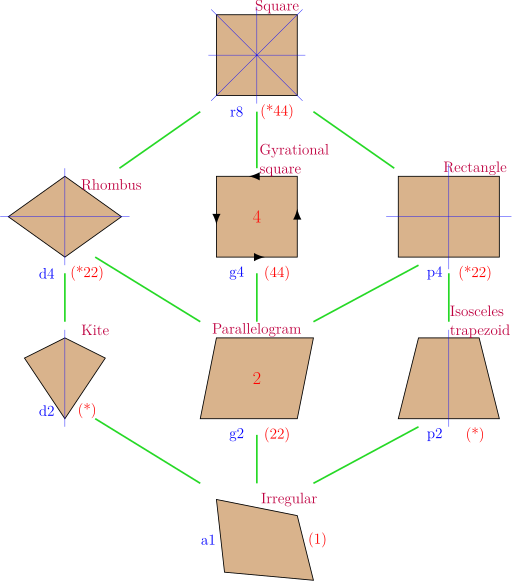 Every rectangle is a parallelogram and a rectangle is a special case of a parallelogram. Every rectangle is a trapezoid and a rectangle is a special case of a trapezoid. Many different rankings exist, evaluating the countries - whether by their areas, populations, level of education or Nobel prize winners. But have you ever wondered who's the winner of the most rectangular country competition? An Australian geo-statistician David Barry calculated the parameter of rectangularity for all countries in the world, and he created a ranking. He found out that the most rectangular country is Egypt, whereas the "least rectangular country in the world" title goes to the Maldives (however the author admits that calculations for countries that consist of many small islands could be terribly wrong). Have a look at the table below and check out the first ten countries, as well as the least rectangular ones. Highest scores from rectangularity ranking. 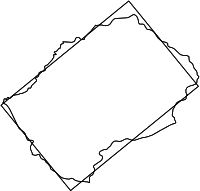 Index of 1 - a perfect rectangle, 0 - an infinite number of infinitely small islands. Table adapted from a Mr. Barry's web page, as the image of the world below. 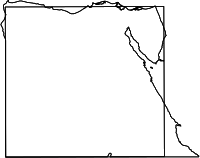 Egypt is the leader, but that shouldn't surprise anybody checking the shape of that country on the map. The USA is in the middle of the ranking, mainly because of eccentricity of Alaska and Hawaii. The confusing thing is that the 2nd most rectangular country - Vatican - is at the same time the 4th-roundest country, and Poland, 5th in roundness classification, is 9th in the rectangularity ranking. How is it even possible, to be rectangular and round at the same time?! As you can guess, it's all about the definition of rectangularity and roundness, which may not be adequate for complex or scattered shapes - and the borders of countries are usually such examples, containing sharp edges, small islands or colonies somewhere on the other part of the globe. If you're interested in the topic, you can have a look at this explanation and discussion of the results here. Also, in a circle calculator, you'll find a paragraph about the roundness of the countries with a similar table and examples. 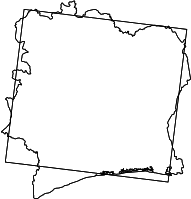 You could think that the world would be easier to draw if every country would be rectangle... Or not? Stacked bond - it's the most common and simplest tiling pattern, as tiles are laid in straight lines. Running bond - typical for pavements and brick bonds. Herringbone - wooden floors look good with this kind of patterns. Basketweave - often used for hallways or outdoor paths. Of course, tiles come in all shapes and sizes - hexagonal and octagonal with squares ones are quite popular choices. For the pentagon, the shape must be irregular to form a tiling pattern. One of the most searched for problems connected to rectangles is body shape type. If you are wondering which shape your figure is most similar to, check out our body shape calculator. All you need to do is to measure your bust, waist, hips and high hip, and type the values into the tool. Then you'll get the information what your body shape is. For example, the rectangle body shape is defined as a "boyish" body type - your hips, waist, and bust are about the same size. Your body is well proportioned and athletic in appearance. Check out also our body fat calculator, made to help you estimate the percentage of body fat in your total body weight. Surprisingly, we are surrounded by rectangular objects. That's why our rectangle calculator may be useful not only for math's classes but also in your everyday life problems. Of course, you won't find an ideal rectangle in reality, as it always has a third dimension; but if it's small in comparison to the other two measurements, the approximation is good enough. Rectangle tablecloths - given the size of your table, you can find out what tablecloth is needed, or how much lace or hemming tape you need to use. Doors or window glass - did a storm or a golf ball break your window pane? Calculate the area and estimate the cost of repair, given the price of a sq ft or sq meter. Blackboards, mirrors, frames, canvas, sheets of paper, notebooks, envelopes, money, flags, rectangle pools... It's a never-ending list! Have a look, can you find more rectangular objects around you? Sure you can! 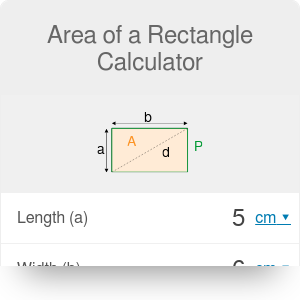 Area of a Rectangle Calculator can be embedded on your website to enrich the content you wrote and make it easier for your visitors to understand your message.